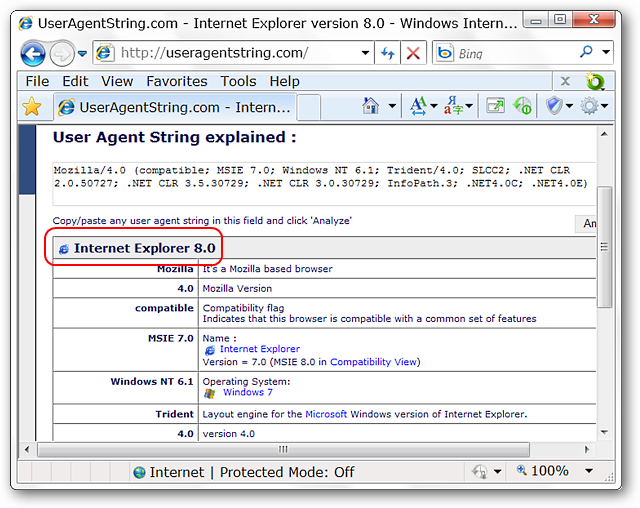 Do you need on-demand user agent string switching while browsing with Internet Explorer 8? 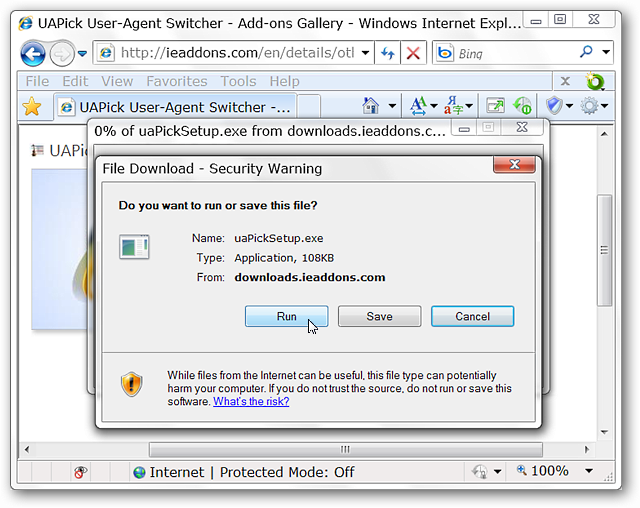 If so then you will want to have a look at UAPick User-Agent Switcher. A User Agent String identifies your browser and system details to sites you go to. 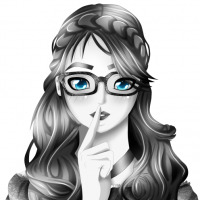 It will identify your browser, version number, and details about your system. This allows a web server to use the information to provide content specific to your browser. If you want to change the value of the data being sent, using the UAPick User-Agent Switcher will do the job in IE 8. 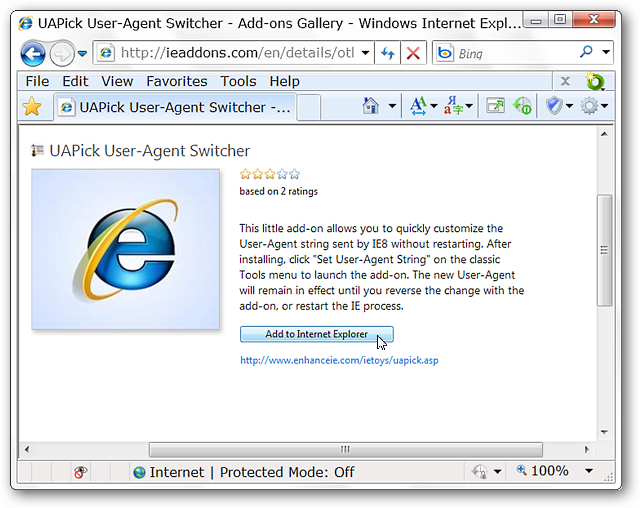 We chose to install UAPick User-Agent Switcher from the IE Add-ons gallery but it can also be installed/downloaded from the homepage (link provided below). 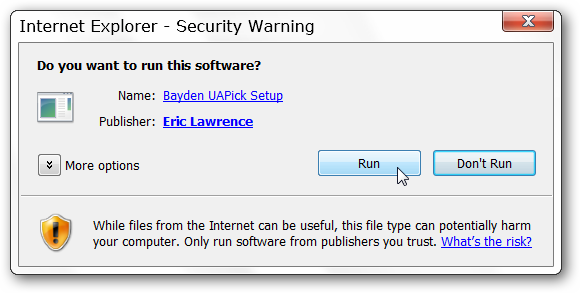 Click on Run when the appropriate window appears. 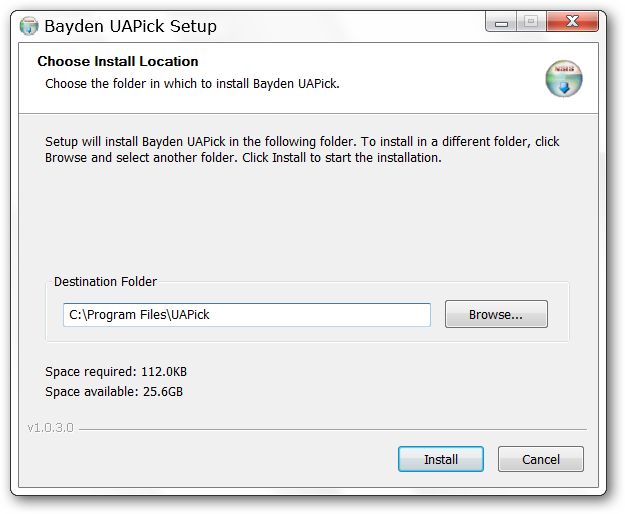 You will need to confirm the installation once the temporary installation file has downloaded. The default install location will be in the Program Files area. Once the installation has finished you will see a message about where to find the switch command and that it will be available the next time you start Internet Explorer. Before changing the user agent string on our browser we did a quick I.D. check to verify our settings. 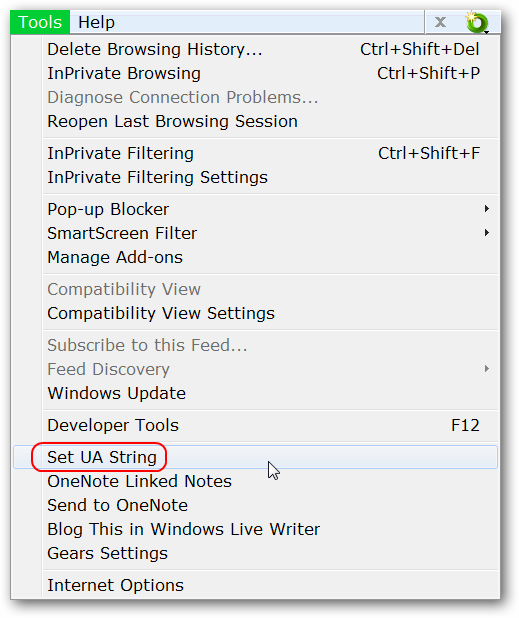 To change the user agent string go to the tools menu and select the Set UA String listing. Note: The user agent string will automatically switch back to the original default each time you restart Internet Explorer. A new temporary window will open with details for the current string visible. 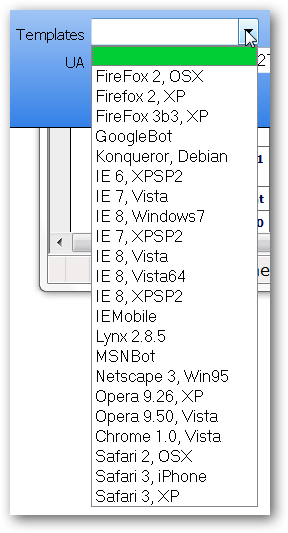 Open the drop-down menu and select the desired user agent string. For our first example we chose “Konqueror, Debian”. Click on the save button when you are finished. 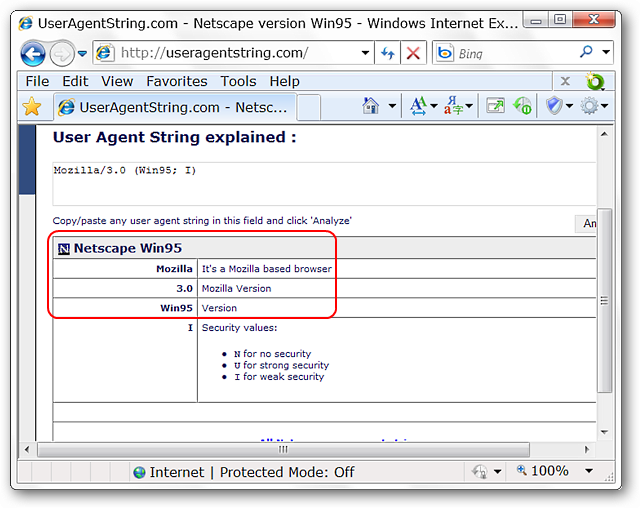 You will be presented with a new window showing the details for the new user agent string. Refreshing our browser displayed a successful switch. Whether out of necessity or just for fun UAPick User-Agent Switcher provides you with a nice assortment of user agent strings to use while browsing.